Rebecca Ruegsegger Baker ’14 transferred to Bethel after a career-ending ice hockey injury. She thought she’d never skate again—but last winter, she found herself back on the ice at the 2018 Winter Olympic Games. 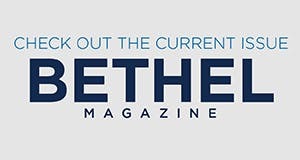 June 26, 2018 | 4 p.m.
Bethel’s first missional ministries alumna channeled the skills she gained in college during one of the most unique, politically charged events of the year: the 2018 Winter Olympic Games. Pain radiated through her muscles, but Rebecca Ruegsegger Baker ’14 hardly felt it. All she could feel was searing disappointment as she put one foot in front of the other at UW-Madison’s rehabilitation center, just a few miles away from the arena where she had led the Badgers to an NCAA championship title as starting goalie. With bilateral torn labrums and adductors in her hips and groin, tears in her pelvic floor, and six more surgeries lined up, she feared her Olympic dreams were over. Seven years later, Baker found herself standing among elite competitors from 92 nations in PyeongChang, South Korea, at the Opening Ceremony of the Winter Olympic Games—not as an athlete, but as a coach. As tens of thousands of onlookers cheered for the much-anticipated and decidedly historic unified Korean women’s hockey team, Baker thought, Lord, I want this all to be for You. Despite her humble attitude, Baker didn’t receive an invitation to the world stage by accident. She started coaching hockey when she was 16 years old and has built an impressive resume since, landing jobs with St. Cloud State University, Union College, and the New York Riveters, a professional women’s team. 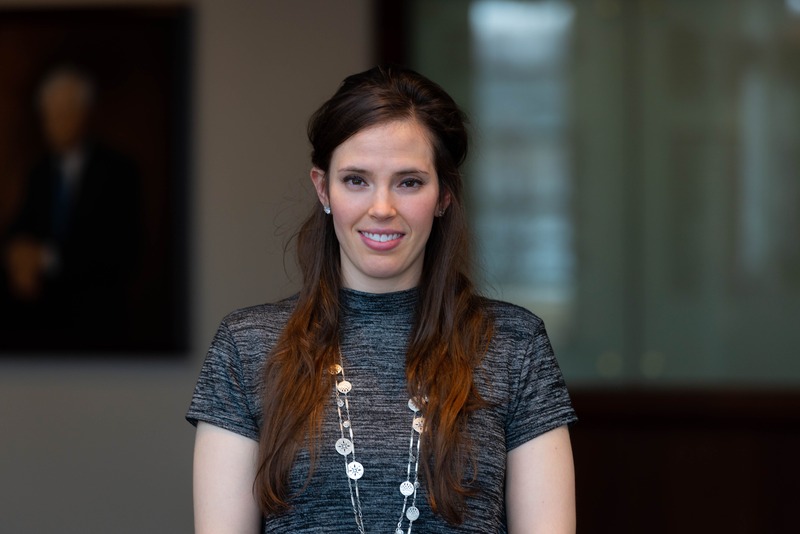 Her extensive experience and network got her a full-time assistant coaching gig with the Korean Olympic team in 2017, when a former high school classmate from Shattuck-St. Mary’s offered her the position. Having attended one of the most prestigious hockey preparatory schools in the country, Baker’s odds of earning a spot on Team USA were good—which made her career-ending injuries all the more devastating. In what would have been her last year at UW-Madison, Baker transferred to Bethel University—a move she says helped shape her view of athletics and approach to coaching. 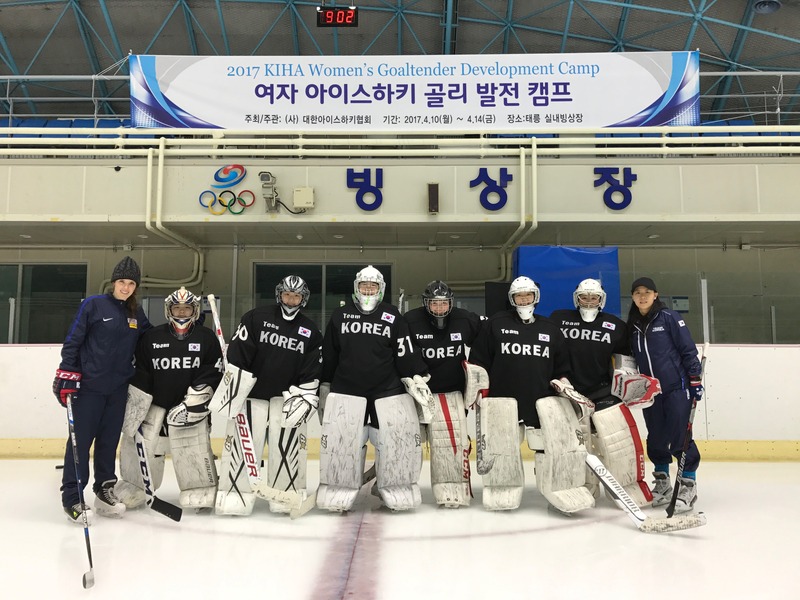 Baker (left) led the first all-female goaltending camp in Seoul, South Korea, last summer. The seaside nation has just 259 registered female hockey players, compared with the United States' 73,076. When the news broke that 12 North Korean players would join the team just two weeks before the Games began, Baker drew upon her prior experience to help quell the nerves of her South Korean athletes. After reminding them that their northern counterparts were likely just as nervous as they were, Baker and her fellow coaches hung a sign in the locker room with common hockey terms in both Korean dialects, which have become increasingly divergent as the North’s isolation continues to stand at odds with the South’s tendency to adopt many English words—like ‘goalie,’ ‘pass,’ and ‘forecheck’—as its own. Team Korea didn’t record a single win on the ice, but both the athletes and coaches knew that despite being on the world’s largest athletic stage, sport wasn’t the most important reason for their unification. Baker recalls sharing a bench with South Korean President Moon Jae-in and Kim Yo-jong—the sister of North Korean leader Kim Jong-un—who became the first member of the ruling family to visit the South. Though Baker speaks with a cavalier tone and a humble shrug of the shoulders, it’s hard to imagine she’ll wait long before embarking on her next adventure. There is, as it happens, a national hockey team for deaf athletes. As the world watched the politically-charged Pyeongchang Olympics, NBC's Natalie Morales introduced the world to the Royal helping make history on the ice. As Baker told Morales in the interview, she viewed her North Korean and South Korean athletes the same, telling them, "No matter where you're from, I want to show you love and respect and coach you the best way I can."